I have fallen for Autumn. It's not something I thought would happen easily. 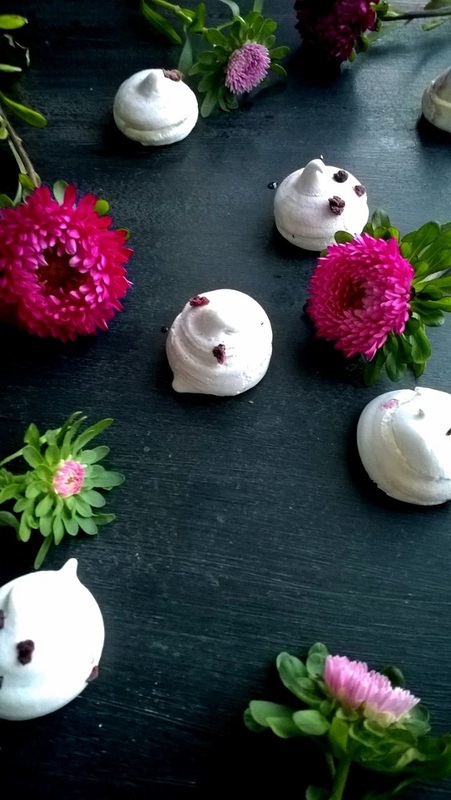 After all it was only at the end of last month I was still clinging desperately to Summer posting pretty pins inspired by hot Indian Summers and recipes of Eton Mess. However, it's happened and I'm so sorry for moaning about the weather previously because the leaves have finally dropped, the cold and rain outside means I can curl up on the sofa in our duvet (setting my posting scene), and there are munchkin pumpkins everywhere! Autumn can be a spectacular time if you want it to be. It may seem sad that all the trees are losing their leaves and it's getting darker earlier but there's magic in those things too. The leaves and light will return in a few months so in the mean time I'm enjoying the colours of Autumn leaves, stomping through them and how you'll get one leaf that shows the season change from green to auburn. These things are making my days a little bit lighter as is singing Paolo Nutini's 'Autumn' on the way to work. 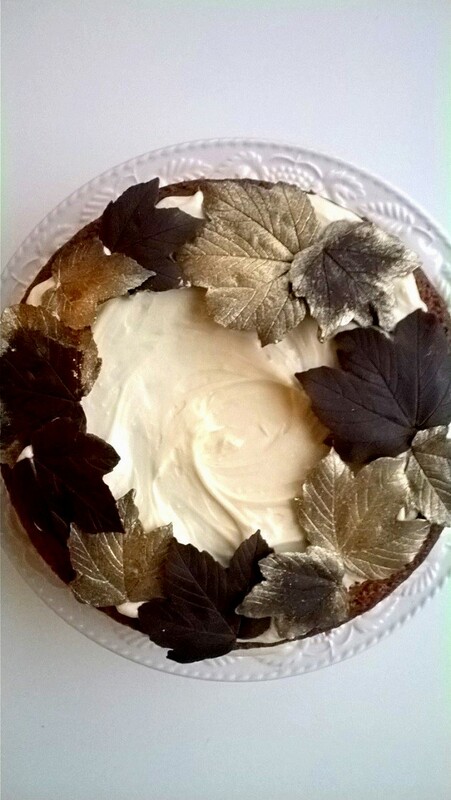 We've had our fair share of bad news recently so I did what I always do in this situation, have a stab at baking away the blues with a joyous Autumnal Blood Orange and Ginger 'Nut' Spiced Cake. Baking this cake will make anyone feel good and with three tiers it feeds a lot of people. Like most of my cakes, the base method for this recipe is an adaptation of The Hummingbird Bakery's basic cake mix. The cake is moist and delicious with added chopped pecans, spiced blood orange tea and syrupy stem ginger. You cannot just have one slice, which is awful when you realise between two of you, you've eaten half a triple tiered cake. Must sign up for yoga stat! The spiced blood orange tea from Morrisons used in this recipe gave it a real kick, but you could use blood orange juice and zest if in season, and make a spice mix from a very little bit of nutmeg, some cinnamon and all spice. Likewise I'm still plowing on with avoiding dairy, so this cake is dairy free but you could swap the almond milk for whole milk, and use your usual butter instead, but honestly it tastes amazing with almond milk and my vegan butter tastes like, you guessed it, butter. This is quite a photo heavy recipe post, I hope it's not too much, but I couldn't resist playing around with a bit of food process photography. 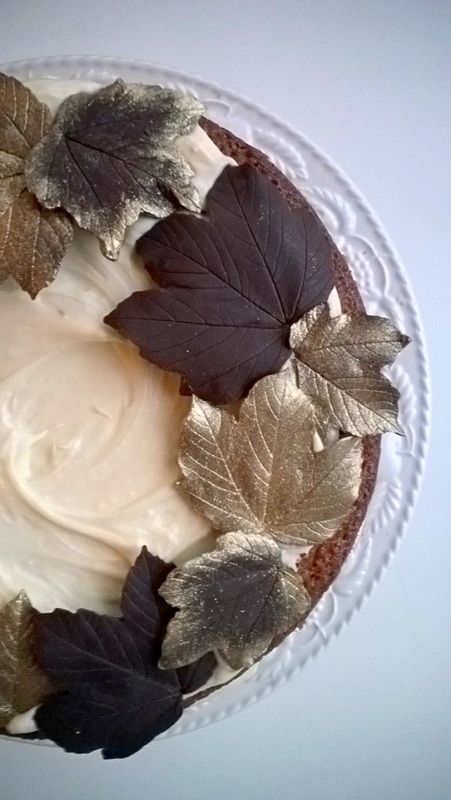 To my family chocolate leaves are a little bit like making a Christmas pudding is to others. It's something we've always done, almost every year, so I was a bit taken aback when people asked me how I made them. The answer, you paint leaves with chocolate. There are a few provisional things you need to do; use clean leaves, paint the chocolate on thickly, take the stalks off before painting*, don't eat all the chocolate before painting your leaves. All common sense really, except the last one. Who knew! *Don't be misled by my pictures, it's all for show(! ), take the stalks completely off first, otherwise you'll struggle to get the chocolate off in one piece. 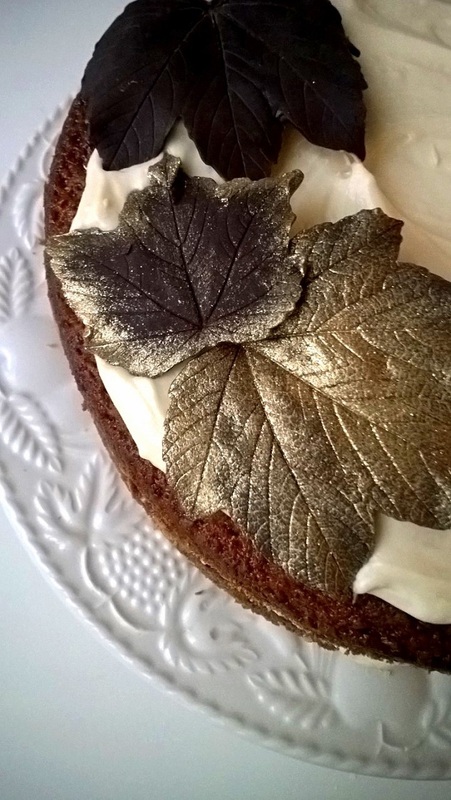 A dusting of edible gold glitter and this cake's ready for a night on the town (aka your Autumnal dinner party, wedding or, dare I say, Christmas?!). Step 1. Pick leaves which look undamaged by pests and fungi. 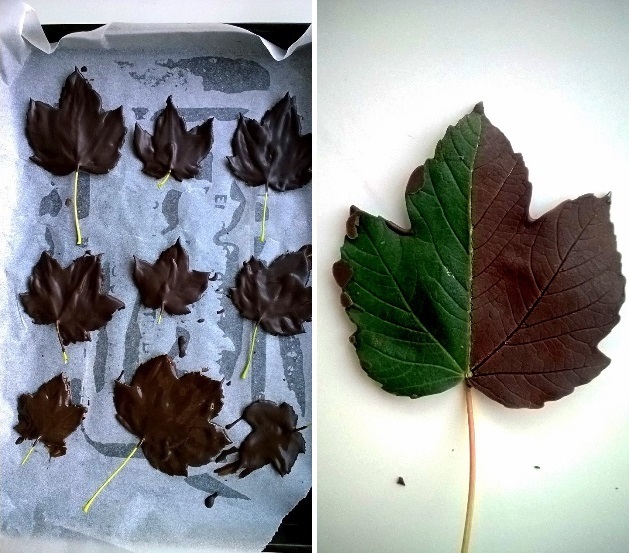 Make sure to wash your leaves in warm water and washing up liquid just before you want to use them, paying particular care to the underside (this is the side you'll be painting as it gives a better impression in the chocolate). 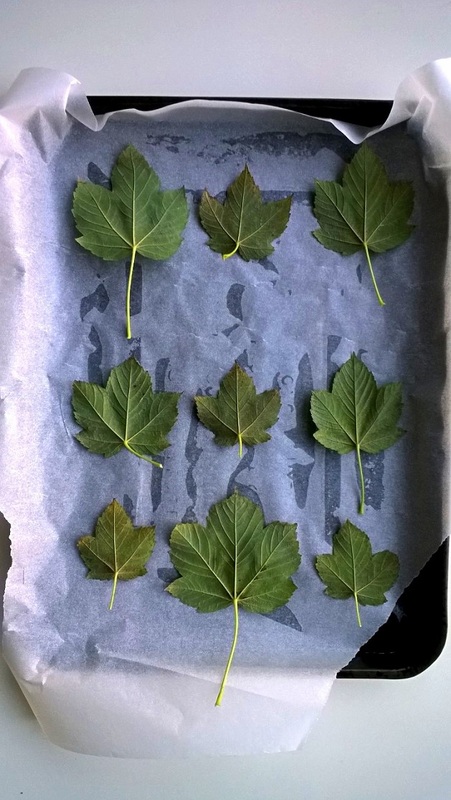 Pat dry your leaves until completely dry, snap off the stalks and arrange them on a baking paper lined tray, which will be able to fit in your fridge! Step 2. Melt the chocolate. People like to do this different ways, some in the microwave, some do it over a bain marie, I do it in a pan straight on the hob but do whatever you feel comfortable doing. Step 3. Once the chocolate has melted, using a food brush (brand new paintbrush) paint the chocolate thickly onto the underside of the leaves. 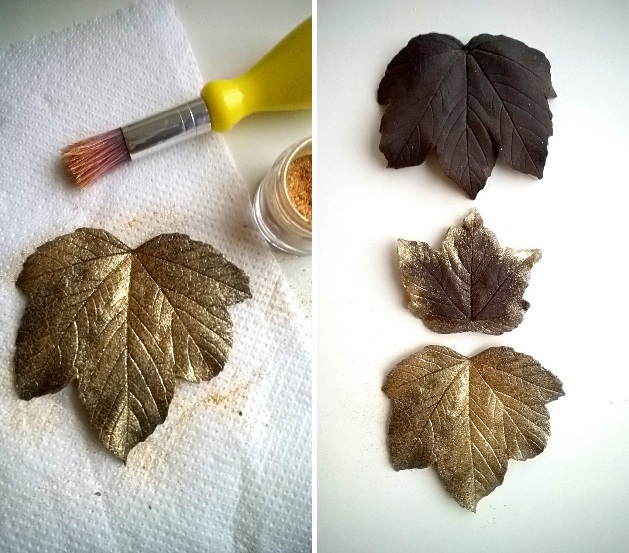 I did two coats of thick chocolate onto my leaves. Once painted, put them in the fridge for 10 minutes. Step 4. 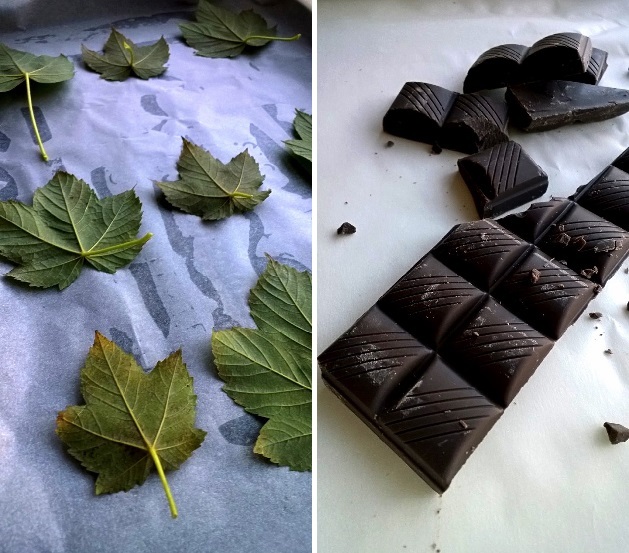 After 10 minutes take the leaves out of the fridge one by one and carefully peel the leaf away from the chocolate. 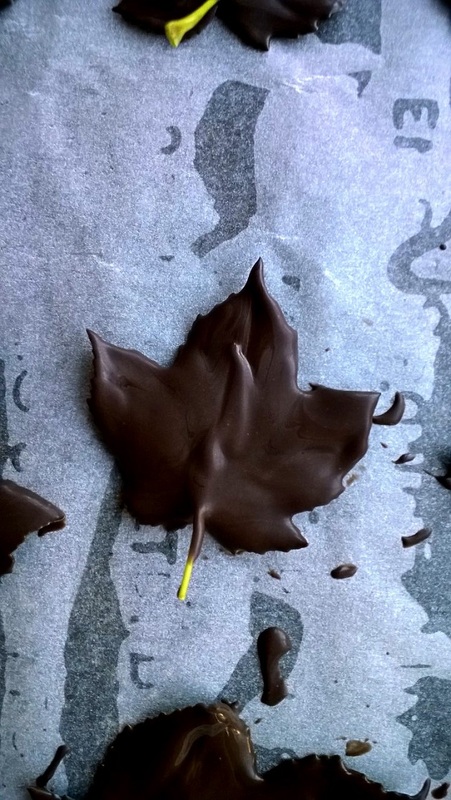 Don't take all the leaves out at once because they are so delicate the chocolate will start to melt quickly. Once you have all your gorgeous leaves you can dust away, with a second clean brush you can dust the entire leaf gold, just the edges, do a weird psychedelic paint job, whatever you want! And you're not limited to one colour, go nuts with all the different dusts out there! Forest green ones for a forever young vibe, a range of Autumn reds and browns, even blue oak leaves could make good chocolate seaweed for an under the sea twist. It's really easy and so rewarding to see a leaf come off in one piece! *If unavailable try using 3 tbsp blood orange juice and 2 tbsp zest, with 1/4 tsp nutmeg, 1 1/2 tsp cinnamon and 1/2 tsp all spice. Step 1. Preheat the oven to 180°C. Line the base of a 20cm spring base cake tin with baking paper. Put the teabags in a cup with the hot water and leave to infuse for 5-10 minutes. Step 2. In a bowl, sieve the sugar, flour and baking powder, and rub in the butter and salt till the mix resembles bread crumbs. In a separate bowl, mix together the wet ingredients, squeezing the last bit of tea out of the teabags. Step 3. Slowly add the wet ingredients into the dry, mixing as you go till it comes together. Then add the chopped pecans and stem ginger. Step 4. 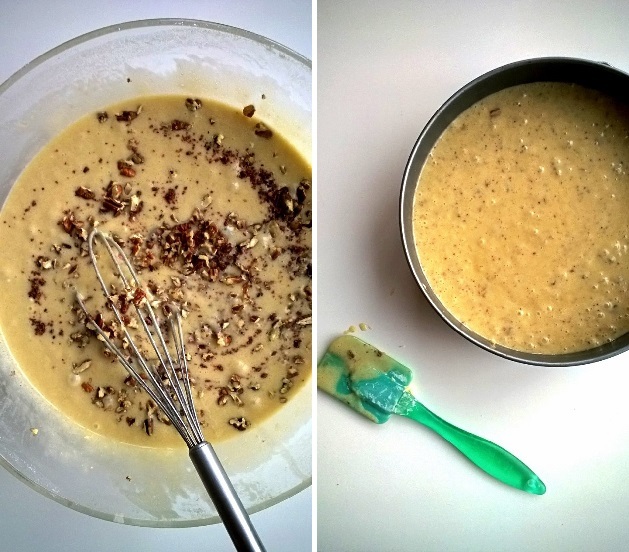 Pour the mix into the cake tin and bake in the oven for 45 minutes. 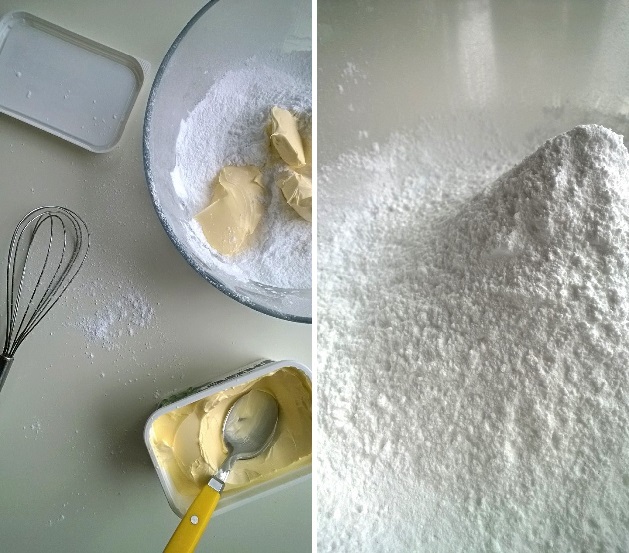 While the cake is baking make the icing, mixing together all of the ingredients till smooth and slightly stiff, if you need to add more icing sugar to get to this stage go for it. I do this entirely by eye, so if it's not the right amount go for more of each until you've got enough. Step 5. Once baked remove the cake from the oven and leave to cool on a wire rack. Once cool you can cut it into three tiers, and layer each tier with a spread of butter icing, saving a good portion of the icing to go on top once you've assembled the cake. Step 6. 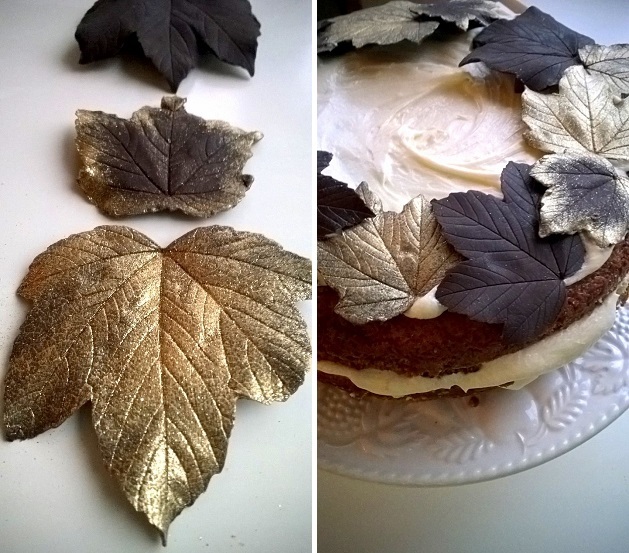 Decorate the top of your cake with your homemade chocolate leaves. Stand back. Bask in the praise of your loved ones, friends and colleagues. The history of Afternoon Tea dates back to the early 1800s when many a duchess or lady of leisure would indulge in a spot of tea and a finger sandwich in their stately home parlour before a stroll round a promenade of note to be seen in. Although from the outside Bea's of Bloomsburys cafe in St Paul's, London, doesn't scream stately home with it's glass fronted exterior walls extending on to a shopping mall, Afternoon Tea is served here, not High Tea (a more substantial tea break the lower classes had with lots of food to be more filling and replace dinner..not sure why this hasn't caught on as well. I mean I'm in! Although I'm still having dinner!!). 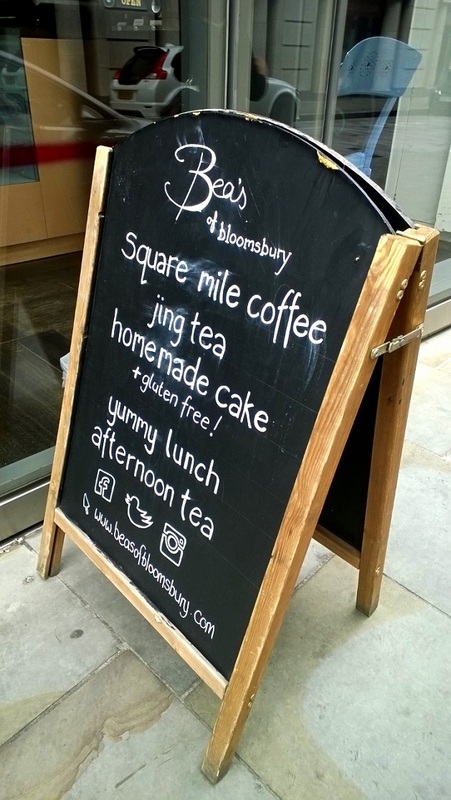 I went to the Bea's of Bloomsburys cafe for Afternoon Tea with some of my good friends (Emily, Janet and Alex) one Sunday last month, and left so full wondering if I had been served High Tea instead by mistake. 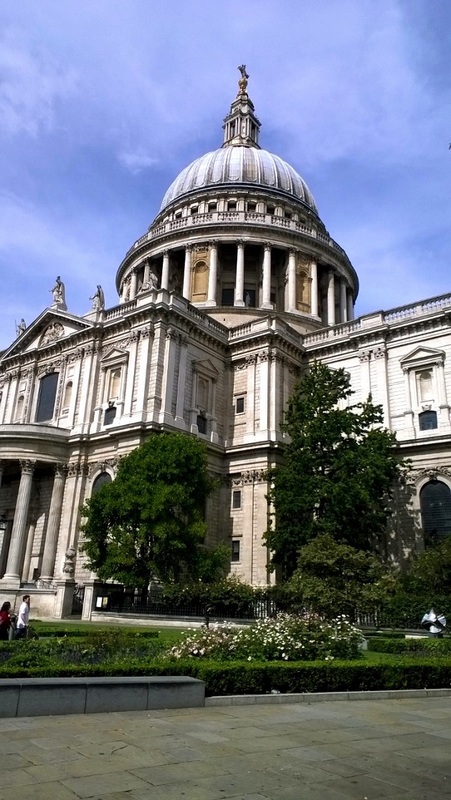 St Paul's is one of the most beautiful buildings and somewhere I think everyone should visit at least once while visiting London. Look at the dome it's colossal! You can also go inside but be advised it is a place of worship so put on your best behaviour and check times in advance because they do hold special services. 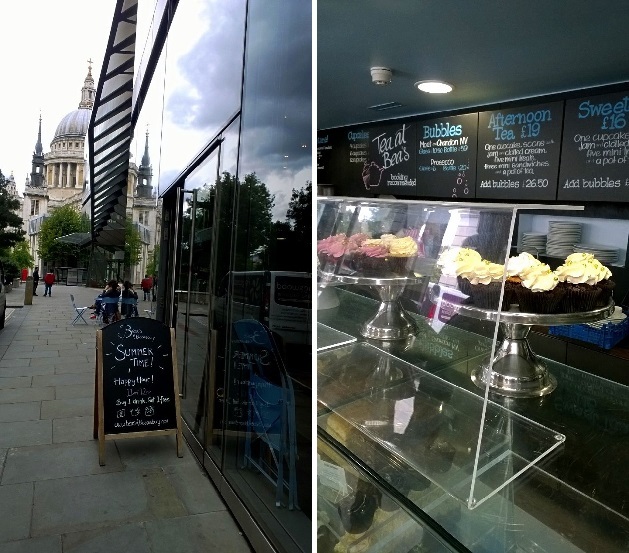 If you're not so fond of walking round buildings and would rather eat cake and drink tea but would have still liked to have seen St Paul's, you can always sit outside at Bea's because St Paul's is across the road. To quote Tracy from Hairspray 'I can (could) hear the bells' chiming from our booth in the cafe. 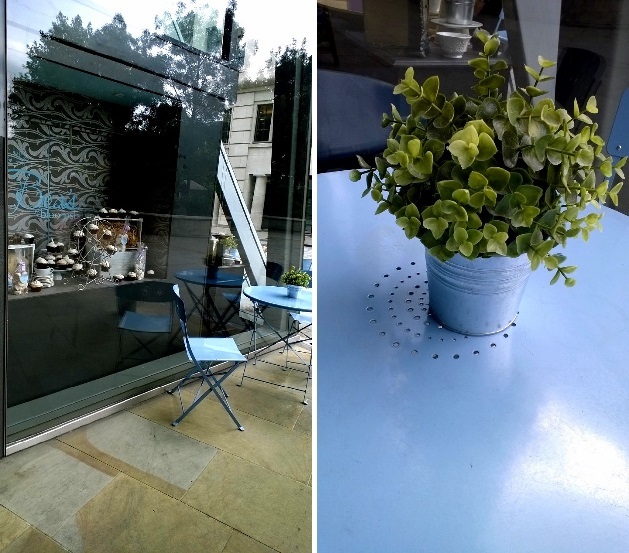 The inside of the St Paul's cafe has a modern baroque theme with jewel-coloured velvet clothed booths, vintage cake stands, huge baroque style picture frames featuring some of Bea's cakes, and mix and match teapots on the tables and ceilings (as lights!). These vintages features are contrasted by a minimalistic layout to the cafe with a pewter and powder blue statement wall up and downstairs, and dark floors throughout. As working gals we opted for the Afternoon Tea with a glass of bubbles (champagne) and I ordered a hibiscus tea (caffeine free baby!). I'm always pleased when an establishment offers to provide us more tea on the house, that is the sign of a classy cafe. When the food came out we were entirely overwhelmed with all the food that appeared before us. I've had afternoon teas previously where there's been a cake, scone and a sandwich or two, but this was a spectacular spread! There were baguettes smeared, stuffed and smothered with Parma ham and rocket, cheddar and onion jam, and my favourite, which I've recreated at home several times, cream cheese, honey, thyme and walnuts. I could have eaten a whole stand of those honeyed cream cheese sandwiches. 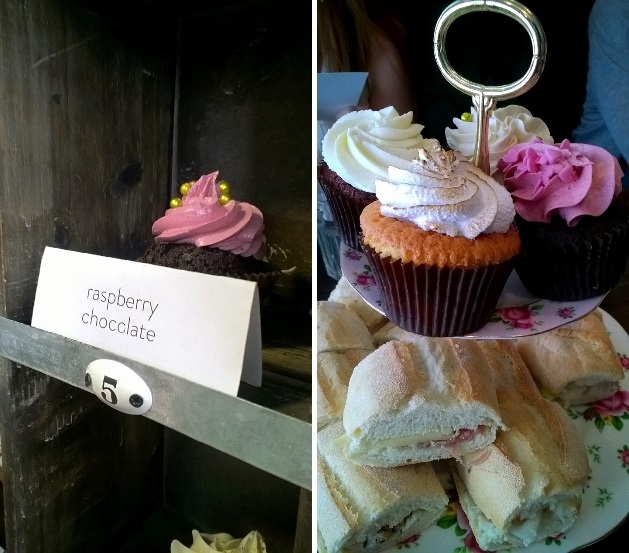 An array of frosted cupcakes, the traditional Afternoon Tea treat of clotted cream scones with jam, and then some untraditional favourites like brownies and blondies, meringues and marshmallows! *Ironically I hate Baileys so I did not touch this cupcake and therefore have no opinion of it apart from it looked pretty. Eat at your own peril unless you like Baileys. **This fact is opinion based on a poll of 4. I was included in the poll. As were Emily, Janet and Alex who ate the scones with me. 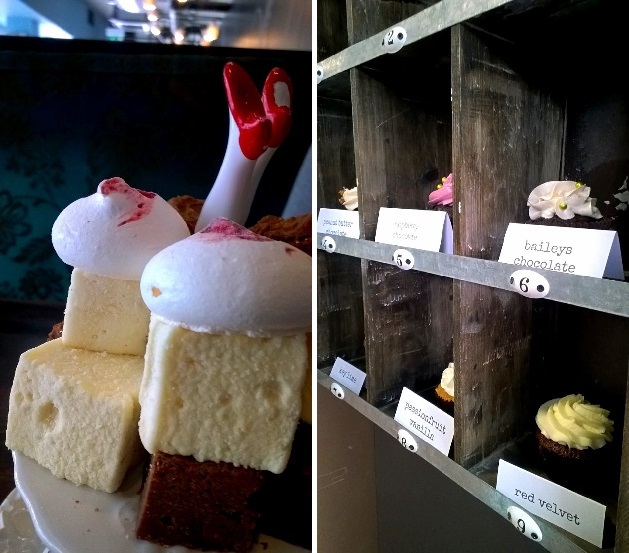 I saw the cupcake stand with the girls legs in the air on Bea's website when deciding where to book Afternoon Tea for me and the ladies, and it was partially/it was on that decision that I booked Afternoon Tea at Bea's. When booking I asked specifically for that cake stand. I am not ashamed. The team at Bea's unfortunately explained in a very apologetic email (which was not needed!) that they didn't have any anymore because they kept breaking. HOWEVER, when I turned up I was shocked and really thrilled to see they'd found one for us. Definitely one of the best services I've ever had, they were amazing and very attentive. Displayed on this stand was the assortment of modern treats including light and sweet raspberry meringues, fluffy passion fruit marshmallow full of flavour and scrumptious lemon blondies and brownies of two types (nutty and non-nutty). 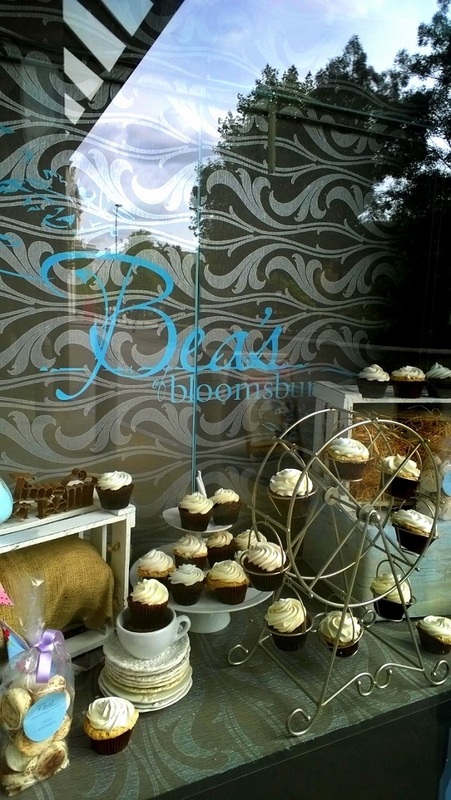 I was really impressed by all these treats because when I think of Bea's I always jump to thinking of cake and actually although the cakes were really good the treats were the stars of the show. 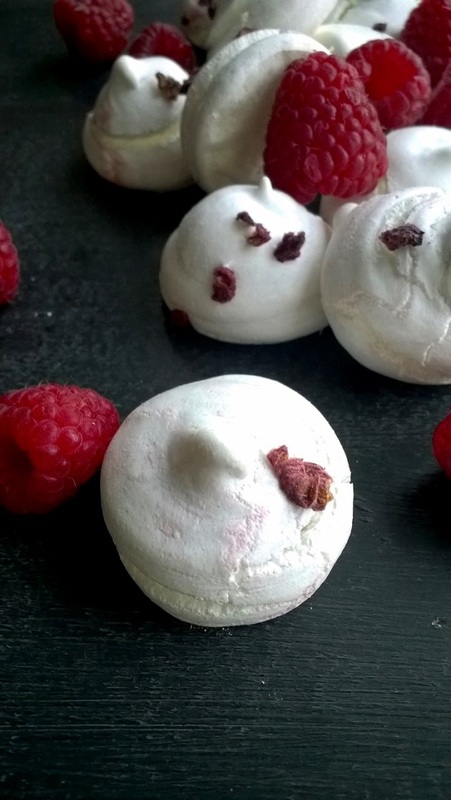 Of which you can purchase bags of flavoured marshmallows and meringues on your way out or you could make some yourself...see my recipes for raspberry and rose marshmallows, and raspberry meringue kisses. 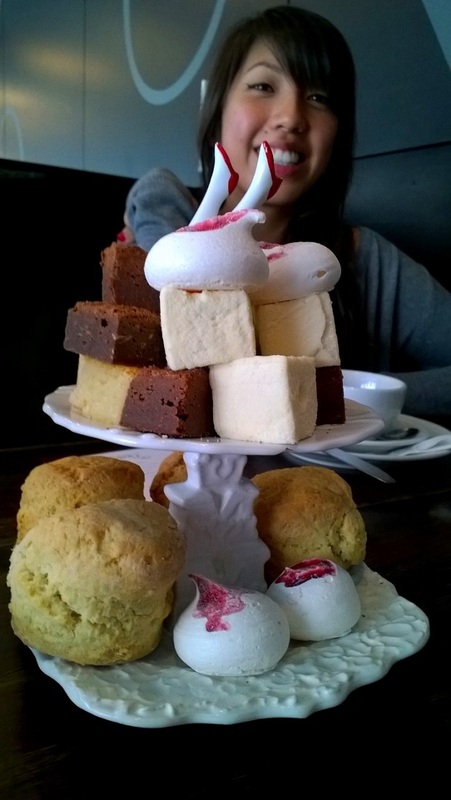 So if you fancy an Afternoon Tea that's fancy but somewhat cheaper than Claridges or the Ritz, traditional but with a modern twist and that serves marshmallows (!!) try the Afternoon Tea at Bea's which is £19.00 per head or £26.50 with bubbles. 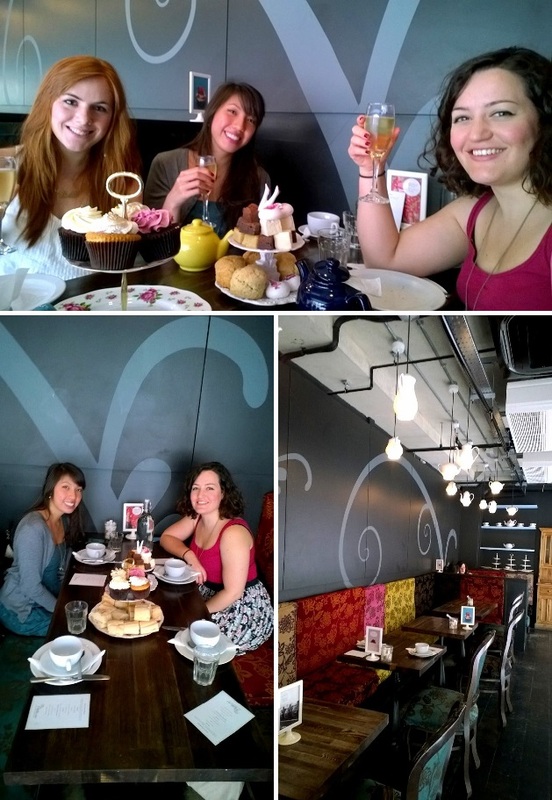 Feeling very full and sated we did as all London ladies should do after Afternoon Tea. 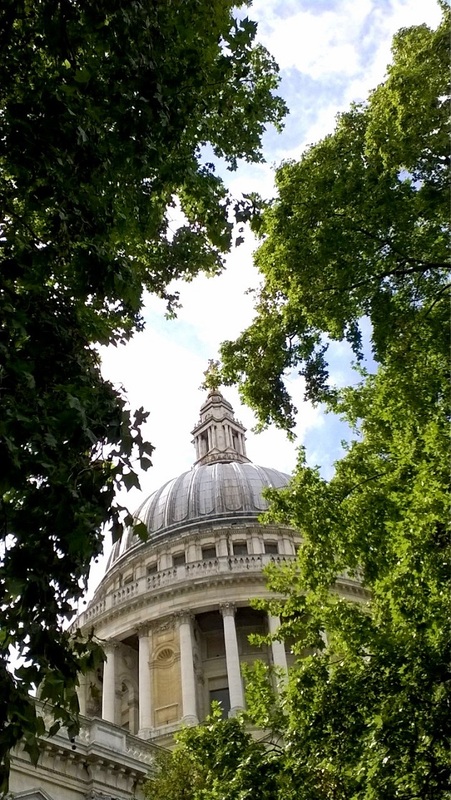 We took a turn around St Paul's promenade. Following on from my last interview with Cat from Oddly Lovely I'm continuing to get to know about (and share with you!) 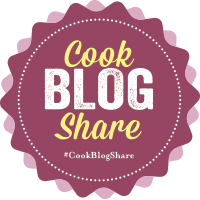 the lives and blogs of some of my favourite bloggers. 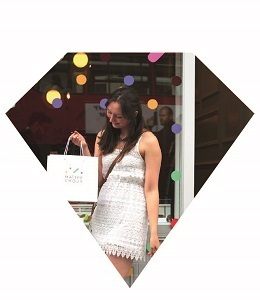 You may already follow Saskia's blog the Girl in Brogues but it's about time we get delve deep into Saskia's life down to the nitty gritty issues such as who will win the Great British Bake Off, what her secret to being a doctor and blogger is (SPOILER: she is a superwoman!) and where the number one place to go for Asian cuisine is in London. 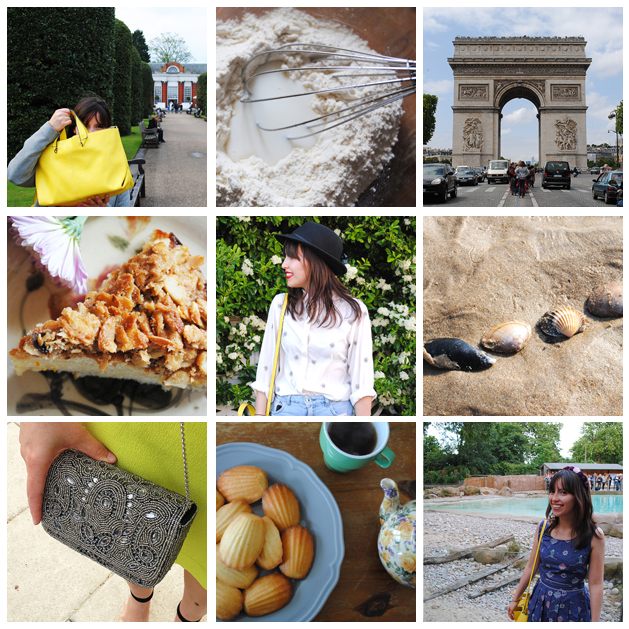 Saskia is a blogger after my heart with a passion for baking (she makes some mean madeleines! ), great restaurant reviews and a taste for trips away. And if that wasn't enough, she also shares her everyday outfits and some glamorous date night ones, book reviews and general pieces about her life. I'll refrain from saying she's a superwoman again by saying she must have a little bit of magic to balance all that with a career in medicine. But I'll let you be the judge, read on for my interview with Saskia and discover more about the Girl in Brogues! First things first, as a Great British Bake Off fan you've been baking along making spanakopita and Toscakaka Swedish Almond Cake but who do you want to win?! Ahhh, it's really tough to pick now that it's coming to the finals. I think I'm pretty torn between the boys! Richard is obviously a really accomplished home baker, but Luis just adds pizzazz to everything he makes. Maybe they can bring Norman back, just for his pure charm! Your blog is about your life away from your job as a doctor but what inspired you to create your blog? I've been reading blogs for years now and it was quite a natural decision to make one. I have always been pretty creative; at school I used to make websites and graphics from scratch (although I'm a bit out of practice now!) and I've always loved photography. After reading so many blogs, you sort of want to try it out yourself! Working such a full time job, how do you fit blogging into your life and do you have any motivation tips for other bloggers? It's a challenge! I do shift work and sometimes downtime can be rare. I don't try to see blogging as work but purely as a hobby - I only post when the inspiration strikes, which can explain why Girl in Brogues can be a bit quiet for a week or two sometimes! I think my motivation tip is that if you're feeling a mental block, don't be scared of taking a break and just living your life without your blog in the back of your mind - you'll come back with a refreshed perspective. I really enjoyed reading about your holiday in Paris, what's the next place on the top of your list to visit? I've wanted to go to Turkey for a while and luckily I'm going there soon with some friends! I'm hoping to see lots of Islamic art and taste some really delicious aubergine and lamb dishes. What are your favourite posts to write about? I love baking posts. Baking is such a stress-buster for me and I like that it makes the people around me happy! I'm trying to get better with my food photography and taking some styling tips from other blogs and Pinterest. As an Asian food lover, can you tell us about a few of your favourite places to sample Asian cuisine? I used to live near New Cross, so I used to try to pop down to a dim sum restaurant called Hong Kong City as many Sunday mornings as possible! It has a great family feel. I'm also half-Malaysian so I'm constantly on the search for authentic Malaysian cuisine - I don't think I've found the perfect place yet, but wallet-friendly Rasa Sayang in Chinatown comes close enough to satisfy my cravings! I've recently achieved my goal of creating a new look for Girl in Brogues and moving it to a self-hosted domain, so I'm pretty chuffed with that right now! I definitely want to post more about fashion and improve my outfit posts, but I'd also like to make my blog a bit more personal. I think that all takes organisation, which is something I'm slowly learning about with my blog! What would be your perfect day off in London? There are so many perfect days off in London, whether it be visiting Kensington Palace, going for dim sum with friends, wandering around Clapham or having a sleep in Greenwich Park on a sunny day. You can never get bored in London. Recently I've been following Hazel Jane, I enjoyed reading her recent commentary on feminism. I've also recently followed a fellow medic, Ginevrella, and Hannah Bakes Things who has some great recipe ideas! As the days are getting shorter and the nights longer, I'm finding it hard to cook up a storm and photograph it in the last hour of good light when I get home from work. I promise this won't be another post about how much I'm missing Summer but those were the food photographing days and this is my last Summer recipe! 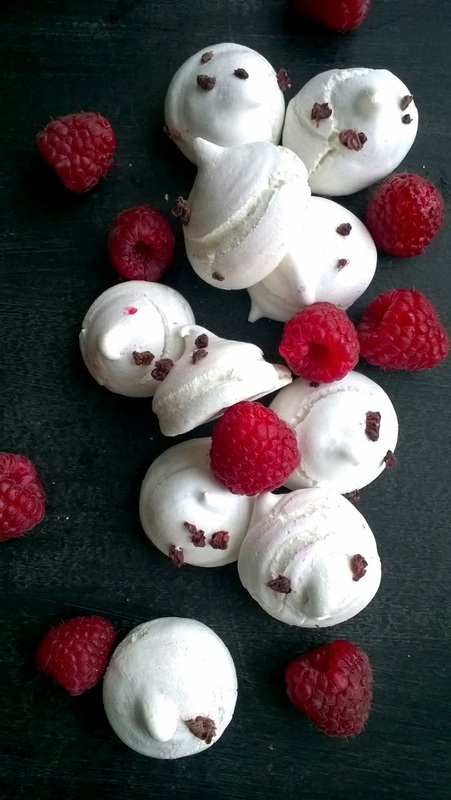 For a while now I've been obsessed with Meringue Girls, attempting their striped meringues has become a hobby of mine; this recipe included although the food colouring I used wouldn't hold onto the bag so you'll have to forgive me for my weak striped kisses. This obsession started a couple of months ago when I found myself drooling over Meringue Girls window display in Selfridges store in London, with the conveyor belt of kisses and giant candy striped meringues (relive the experience on instagram) it was like something from a dream (at least my childhood dreams of going and finding out your school had replaced all the furniture with sweets!). This might also be my last dairy recipe for a while, it doesn't make me very happy to say that I am trialling no dairy for health reasons. I'm really hoping it's not the cause because a life without cheese is not my ambition, the cat who sometimes visits our flat (seen here trying to eat my meringues) probably won't be as frequent a visitor without his bowl of cream, and it'll put at risk my friend Louise disowning me as I've already given up caffeine and apparently that was a change too far! However, what a recipe to go out on, I mean the actual dairy only features in the Eton Mess but it's a good and simple Eton Mess! I hope you enjoy it, I'm off to buy some soya yoghurt. Wish me luck! Step 1. Preheat the oven to 200°C, line a baking tray with baking paper and pour all of the sugar onto the tray. Once the oven has come to temperature, put the tray in the oven and heat the sugar till the edges begin to melt; this happens quite quickly so make sure you keep an eye on it as you don't want the sugar to melt completely and harden. Step 2. Crack the eggs separating the egg whites from the yolks (save the yolks you can use them in pasta dishes, to enrich sauces or in a chocolate mousse). 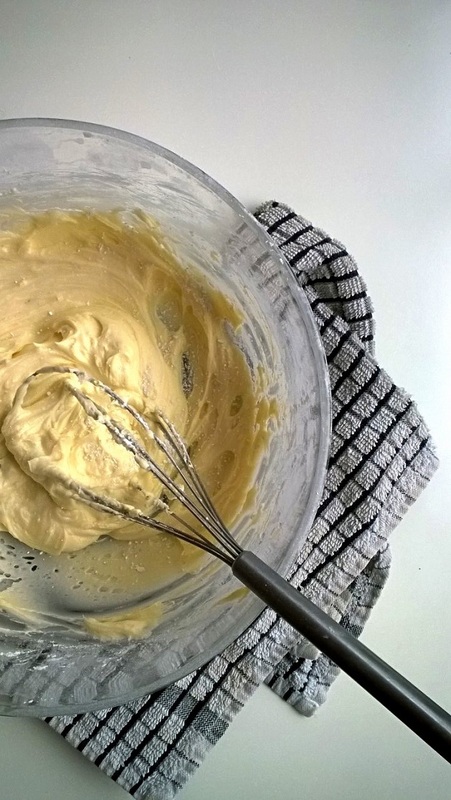 Place the egg whites in a clean glass or metal bowl and whisk using an electric whisk till the egg whites form stiff peaks when you take the whisk out of the bowl. 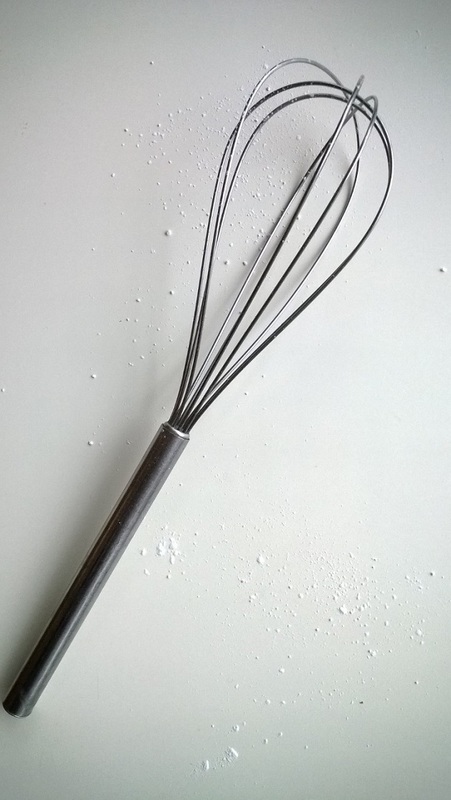 I've done this recipe using a non-electric whisk and it takes a long time for very flat results, so if you don't have an electric whisk you can get one for about a tenner now so it's worth investing in (also helps with marshmallow making, see here! 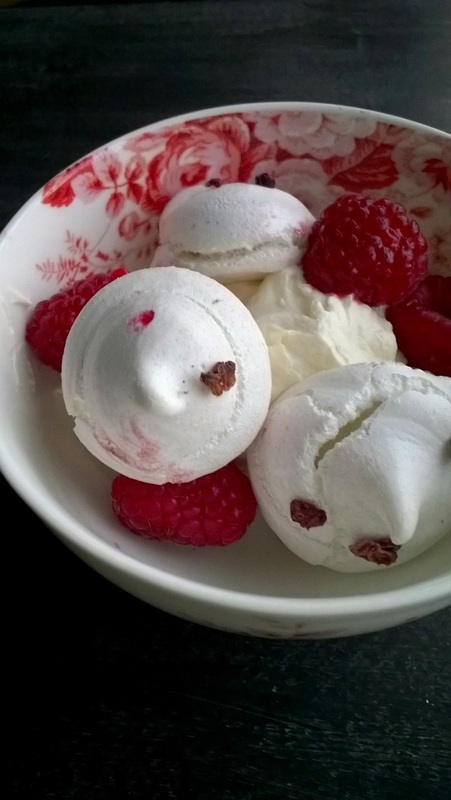 ), or purchase some meringues from Meringue Girls and claim them as your own! Step 3. Turn down the oven to 100°C and take the sugar out of the oven. Continue to whisk the meringue mix adding the hot sugar a spoon at a time (you might want to get someone to help you out for this step). 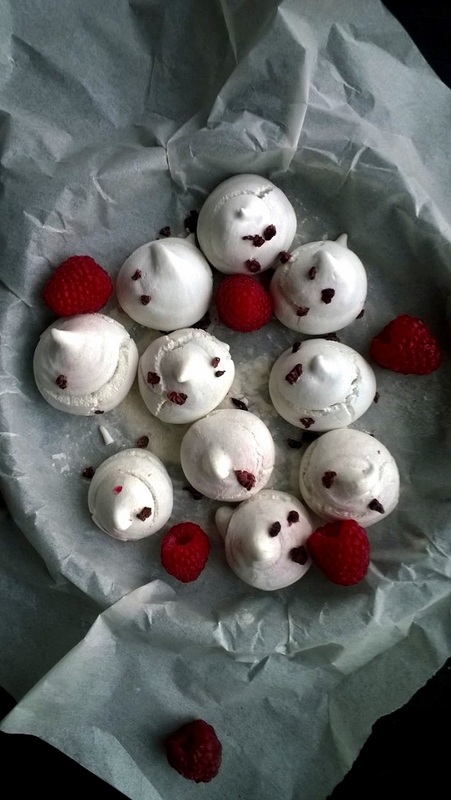 Once all the sugar is incorporated continue to whisk the mix for 5 minutes, at this stage if you want to you can add a flavouring, as a tip if you add too much liquid to your meringue they will lose their height and stiffness so try and experiment with more dry flavourings. Step 4. Turn a disposable piping bag inside out and paint stripes of your food colouring onto the bag, Meringue Girls have a really good video of how to do this here. I used liquid food colouring and you can see I didn't get the strong stripes I expected so I'd use gel colouring instead. Turn the piping bag back the right way and fill with your meringue mixture, cut the tip of the piping bag so the opening is about 2 cm in diameter. Step 5. Pipe your kisses onto a lined baking tray so the kisses are approximately 2cm in diameter and pull the bag up at the end to create a peak. Break the freeze dried raspberries into little pieces (you can do this by placing them in a sandwich bag and hitting them with a rolling pin) and scatter them heartily over the kisses. Step 6. Bake the kisses in the oven at 100°C for 30 minutes, once done take them out of the oven and leave to cool. 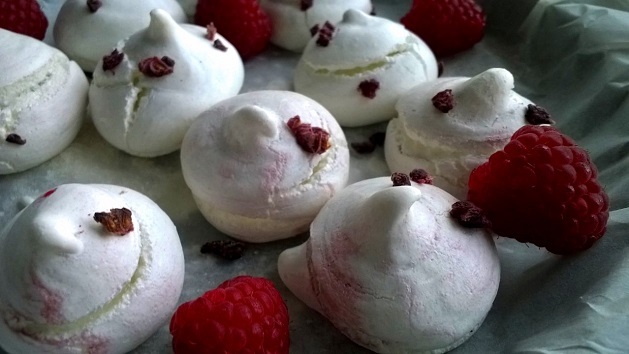 These kisses will keep for up to 2 weeks in an airtight container, but honestly eat 14 of them now and then make a quick Eton Mess like the recipe below! Step 1.Whisk the double cream for 5 minutes till it's thick and it stands up on itself. Step 2. 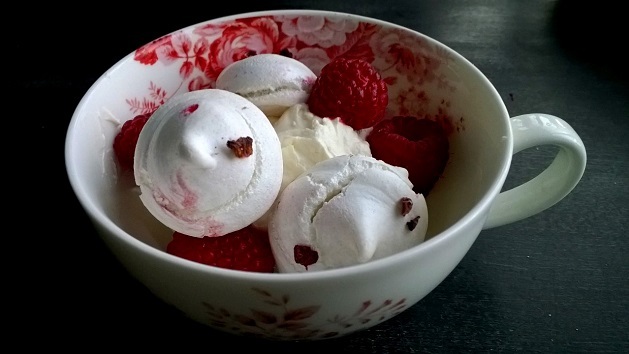 Place the kisses, whipped cream and raspberries in a bowl. Step 3. Eat the bowl's contents. Step 4. 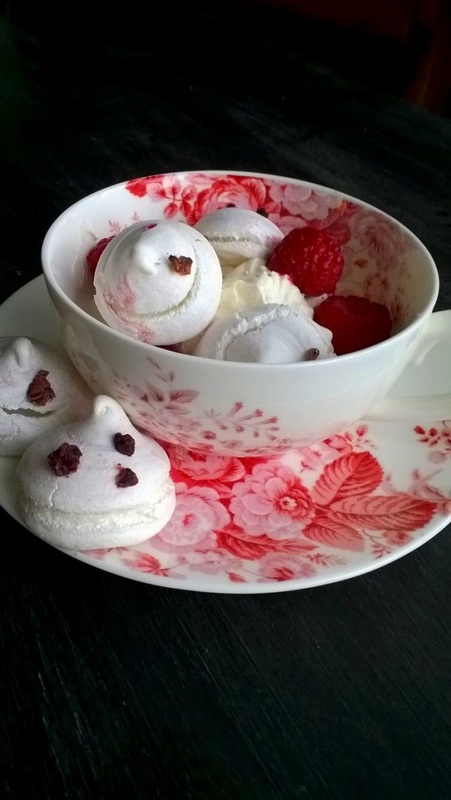 Have a peppermint tea to soothe your indigestion caused by eating 20 meringues in one day.